How are the markets doing this year? Well, it depends on what market you mean. So far 2014 has had only a few gains in world markets: coffee, cattle, cocoa, pork bellies, 30 year treasury bond, the U.S. Dollar,. The Dow Jones Industrial average is flat. 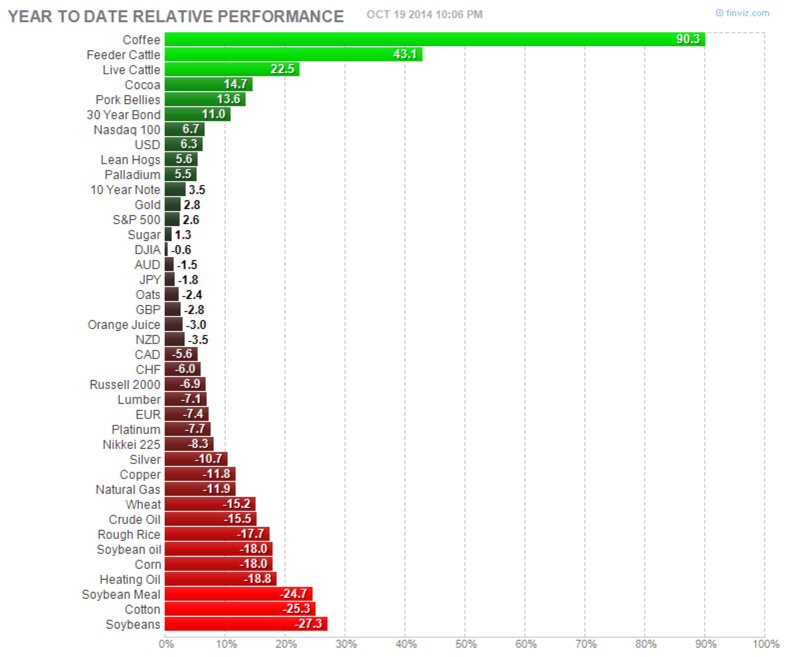 Most commodities prices have fallen materially. It looks like “global deflation”, which means prices are falling. I bet it’s getting the Feds attention. Deflation isn’t a good thing.